On my most recent visit to Washington DC, I paid to spend an evening with five other people locked in a room under surveillance. No, it was not part of some crazy mid-life crisis scenario. (Mind out of the gutter, folks.) 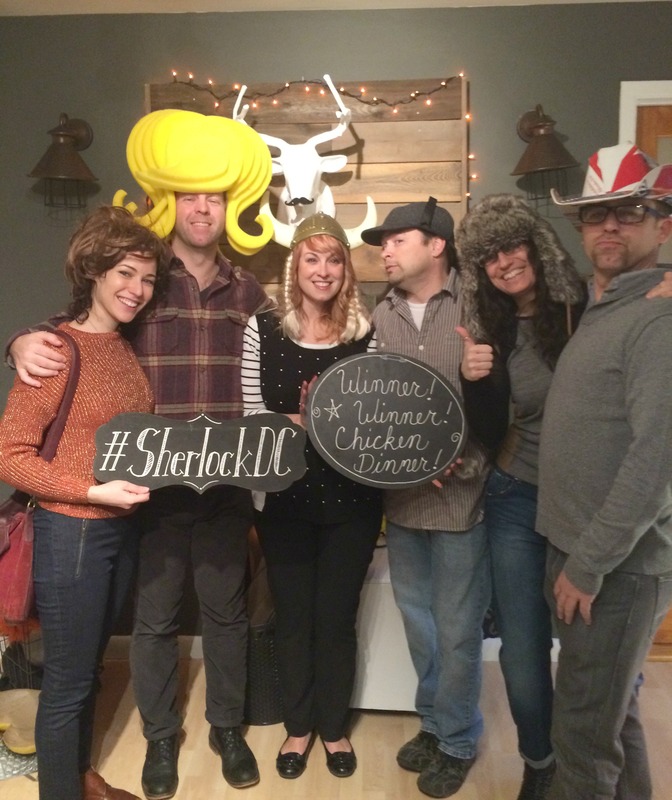 It was Escape Room DC. You. Must. Try. This. It is like nothing you’ve ever done before. Escape Room DC is the latest in a growing trend of places around the globe locking up civilians and forcing them to figure our how to escape their rooms. In a nutshell, these are fully-immersive live games in which small groups of people are given a series of riddles, puzzles and clues in order to find a way out of their locked space within a given time frame. I must confess, I was incredibly nervous about the experience to begin with and knowing we had the difficult room made me way more apprehensive. We arrived at Escape Room early and were ushered into a fun, funky waiting room filled with brain teasers and puzzles presumably designed to get us into the right frame of mind. And while that was enjoyable, we couldn’t help but notice the party of eight dejectedly saunter out of the “Framed” room having not achieved their objective. Think I’m joking? We solved that sucker with six whole minutes to spare. I don’t want to give away important details of the experience in the hopes that you try it for yourself but I will tell you that the experience was fantastic! We had to race the clock to decipher clues, open locks, find hidden meanings, read maps and jump from mystery to mystery to mystery. My advice: Divide and conquer. Assemble and analyze. Use the whiteboard to document your clues. Know that there are Red Herrings. 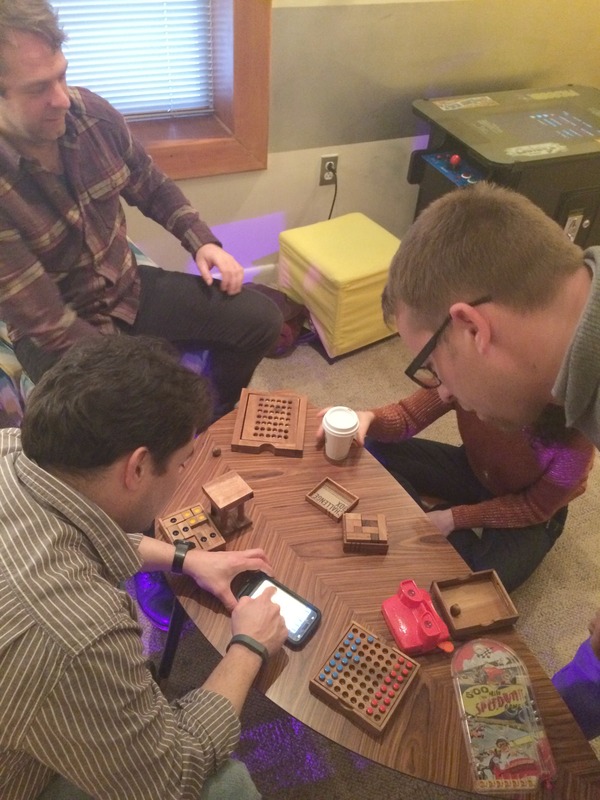 Overall, everything about Escape Room DC is well thought out and visually appealing. From the Jackalope (!) on the lobby wall to the decor inside the waiting/puzzle room, each area is modern, funky and fresh. And you’ve gotta love the photo ops afterwards! Truly, even if we didn’t solve the room, we would have come out of there feeling awesome. It was the perfect evening out with siblings and an experience we will reference for years to come. Oh and we’ll be the first in line to visit their new Escape Room when it opens up in Alexandria! Booking: Reservations are required. A FAQ and details can be found at escaperoomlive.com. Tip: Make a night of it! Head over to Georgetown afterwards and enjoy a some cocktails and meal at one of their unique restaurants.